As a certified company under Angie's List, BBB, and Home Advisor regulations, Advantage Home Exteriors continues to provide gutters and gutter guard installation services for residents in the Abingdon, Maryland area. Since 2007 we have installed many gutter systems for effective rain water mitigation and leaf protection that outlasts the rough seasons we experience here in Maryland. Contact us today for a free estimate and consultation. 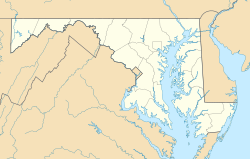 Abingdon is a small town in Maryland northeast of Edgewood, and rests roughly on the coast of the Bush River. Being close to coastal waters and northeast climate makes Abingdon prone to massive rain storms. We've done the research, and WeatherDB shows an annual rainfall of 44.07 inches of water per year in Abingdon. This rain water damages your property if your gutter system isn't properly installed or has the technology it needs to properly mitigate.